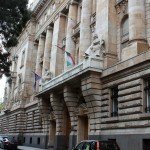 Budapest, August 26 (MTI) – Hungary’s central bank rate-setters left the base rate unchanged at 2.1 percent at their regular rate-setting meeting on Tuesday. After the previous rate-setting meeting on July 22, when the base rate was reduced from 2.3 percent to the current level, the Council said it had wound up an easing cycle started almost two years earlier. Ever since the easing cycle that started two years ago, 490 basis points have been cut. In a statement released after today’s meeting, the Council said the base rate was “consistent with the medium-term achievement of price stability and a corresponding degree of support for the economy”, noting the assumption was “based on available information”. “If the assumptions underlying the bank’s projection hold, achieving the medium-term inflation target points in the direction of maintaining current loose monetary conditions for an extended period,” the Council said. “A cautious approach to policy is still warranted due to uncertainty about future developments in the global financial environment,” it added. 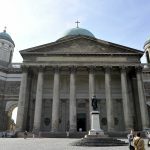 Analysts polled by MTI saw a good chance that the base rate would stay at a low level in the short term but reported risks mainly in connection with the forint-euro exchange rate. Budapest Alapkezelo analyst Andras Pinter said there was a good chance the rate could stay low. Despite geopolitical tensions, the exchange rate and yields on long-term government securities seem to be stabilising, he said. 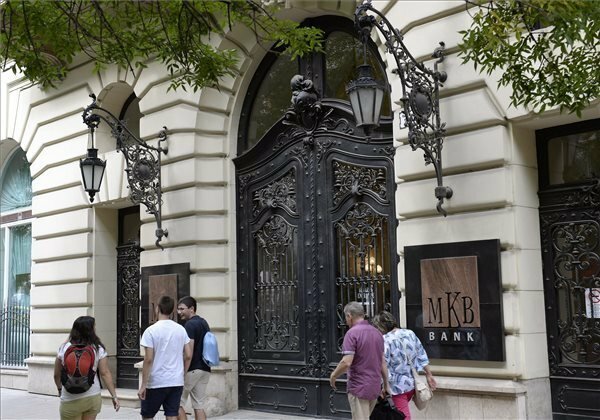 Monika Kiss, senior analyst at Equilor, said the government may tap forex reserves at the end of the year to help pay for the conversion of forex loans into forints, and the extent to which it does so would strongly influence the forint market. Tamas Pesuth, senior analyst at Nezopont Institute, said that macroeconomic developments left room for the base rate to stay low. He said the length of the easing cycle is mainly determined by reactions from the US Fed and the European Central Bank. Commenting on the decision, London analysts said they expected the central bank to leave the base rate on hold for at least a year unless the risk appetite of investors deteriorates considerably. Neil Shearing, senior emerging market economist at London-based Capital Economics, said it was likely that the central bank would embark on a course of gradual monetary tightening in the third quarter of 2015 at the earliest, and raise the base rate to 2.5 percent by the end of 2015 and to about 3 percent by late 2016. Economists at 4cast, another London-based financial consultancy, expect the Monetary Council to remain neutral for several quarters and refrain from changing the base rate. Although the low risk of importing inflation from the euro zone implies weak inflationary pressure, the geopolitical risks that weaken the forint-euro exchange rate should not be overlooked, they said, adding that the bank’s rate-setters should therefore be prepared to either raise or cut the base rate.